Managing your AODA obligations is easier than you think! Accessibility Standards PolicyPro® is the only product offering all the resources you need to comply with the Accessibility for Ontarians with Disabilities Act (AODA) standards. Going beyond what is required by law, ASPP provides practical advice, tools and resources to help you meet your compliance requirements on time and with confidence and avoid fines, inspections and orders. 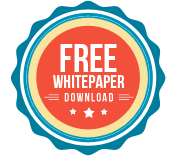 With your trial, you also get the whitepaper, AODA compliance in 2015 and beyond, which outlines the compliance requirements and deadlines, the types of penalties organizations face for contraventions, and more. ASPP's policies and procedures reflect the most current legislative requirements. Author Suzanne Cohen Share has an MA in Health Policy and Critical Disabilities from York University, including a specialty in disability law from Osgoode Hall Law School. The manual's legal editor, Stringer LLP, is a leader in Canadian workplace law. You will receive an email with a link to a 30-day trial of the electronic version followed by the print version by regular Canada Post. olicyPro is used by thousands of employers across Canada. First Reference Inc. Copyright © . All Rights Reserved.